When the new year comes, it is time to make some changes. Riding a bike to work is a healthy life style, however, store bike at home is an issue for those who lack the adequate square footage. 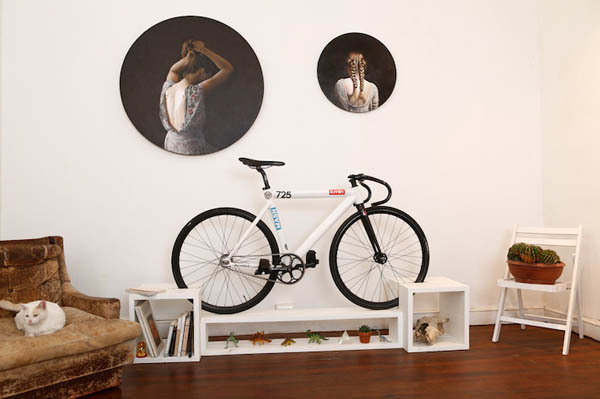 For the most studio apartment in city, it can only fit a bed, desk, and bookshelf, the bike quickly becomes an obstacle. 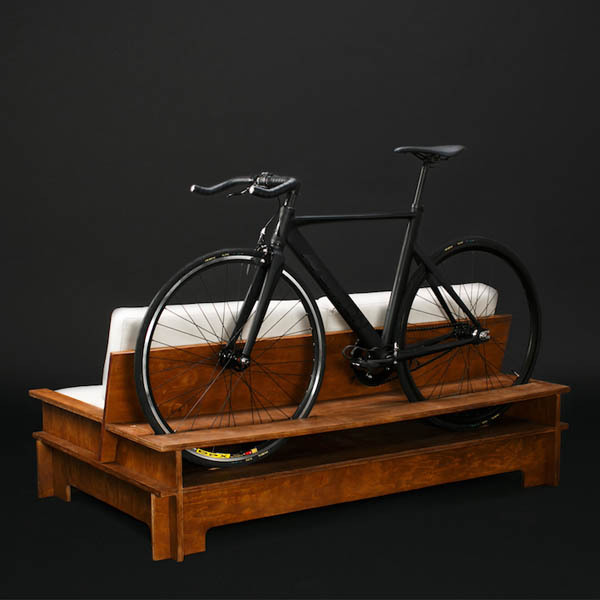 Of course, wall-mounting is an option but in these days, more and more furniture designers try to integrate bike storage in the furniture. 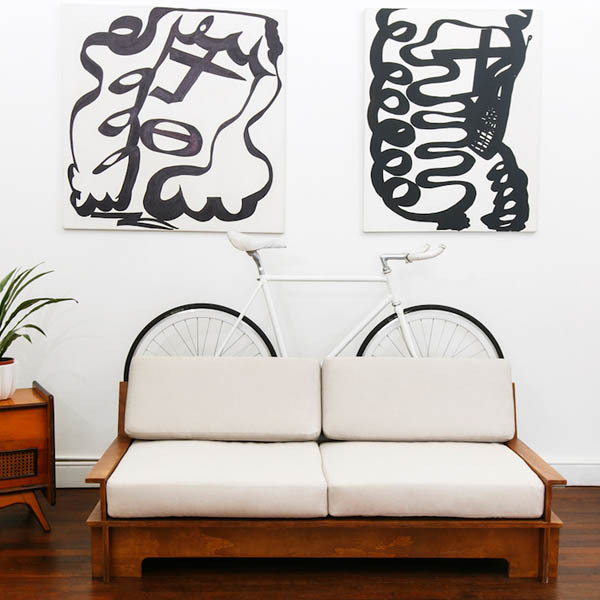 Just like the ‘Bike Shelf‘ we mentioned before, Chilean designer Manuel Rossel has created bookcases, sideboards, and a couch with wheels in mind. 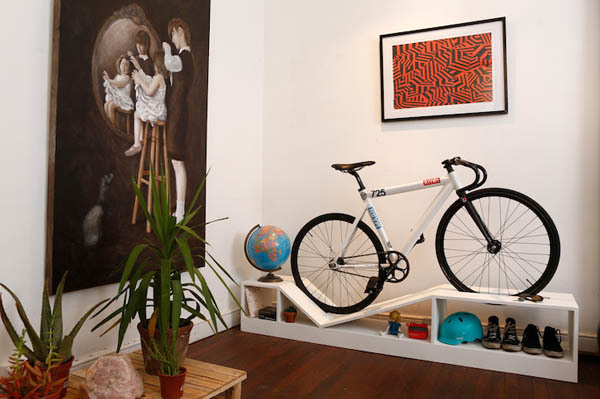 Each piece has a groove that balances the bicycle, allowing you to simultaneously display books, shoes, and other knick-knacks. From my view, it is a good try but not quite practical. As we all know, the bike wheels are quite dirty and always stick something undesirable from streets. Put those wheels on your funriture at home? Unless you really clean it before enter, otherwise, no way!